Junior Church offers the young people a chance to learn and interact with others on their level. This time includes puppets, crafts, games, songs, prizes and, of course, a Bible lesson. The young people are encouraged to bring their Bibles, learn memory verses and retell the stories they've heard. 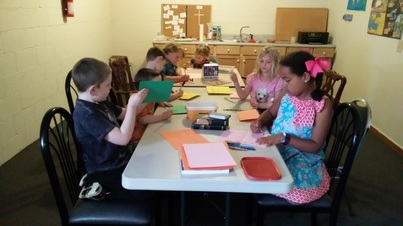 Children between the ages of four and twelve are invited to attend Junior Church, which takes place in the latter half of the Sunday morning services. Visitors are welcome to attend.